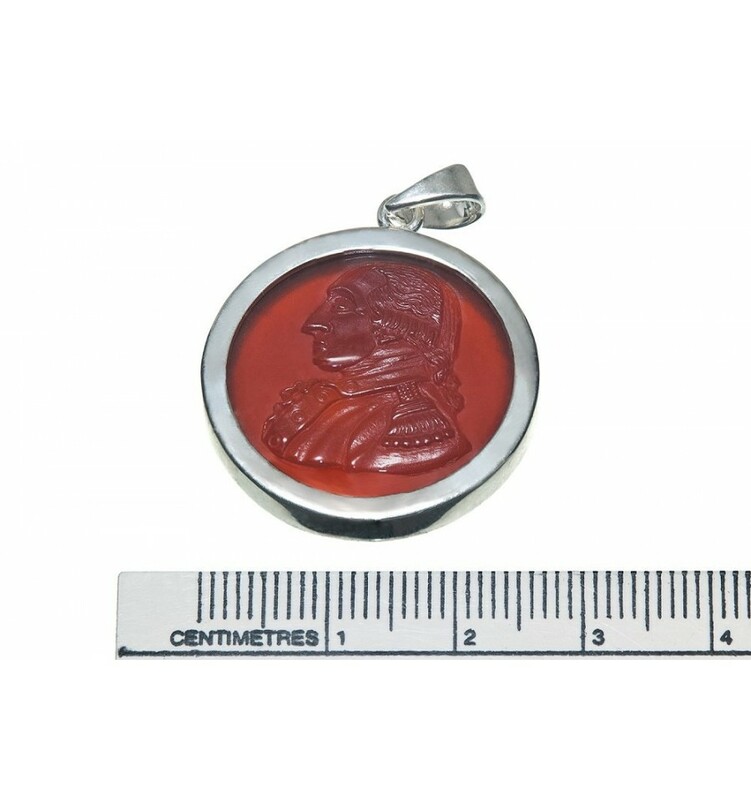 A detailed likeness of George Washington has been expertly hand sculpted from a beautiful roundel of Red Agate to make an impressive pendant. 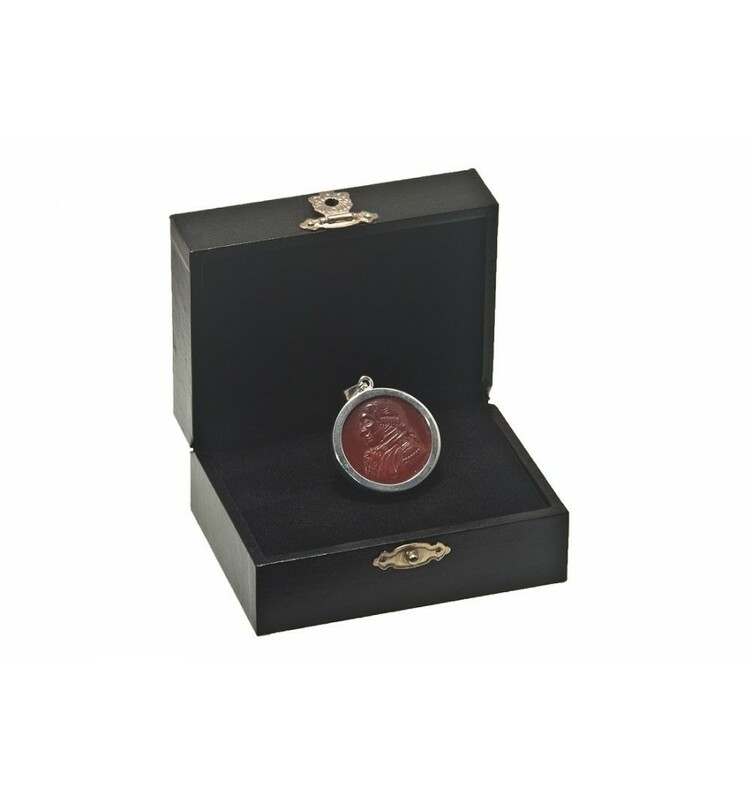 This is a real beauty and a talking piece whenever you wear it I am sure. 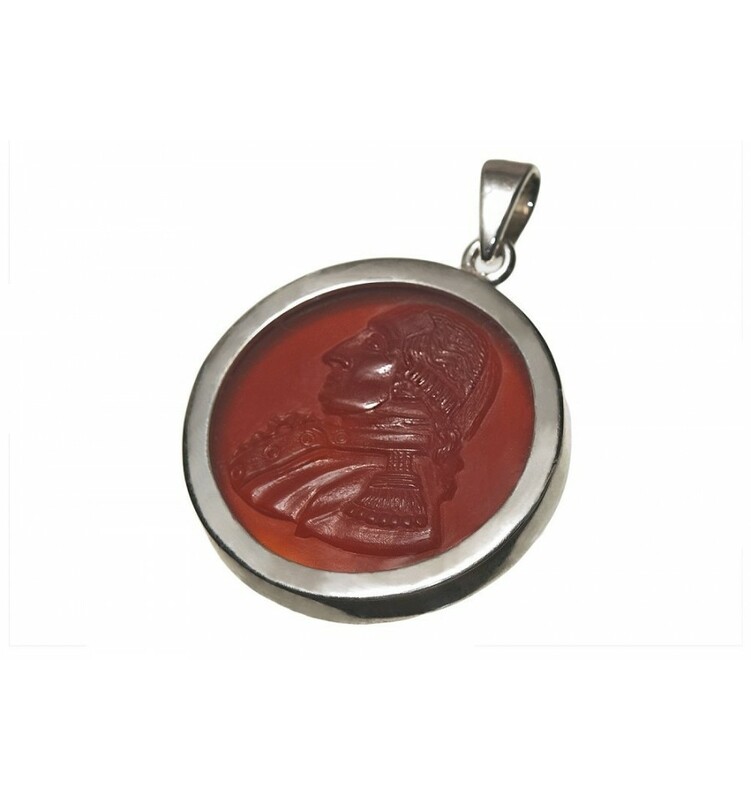 The pendant has an open back solid sterling silver encasement.